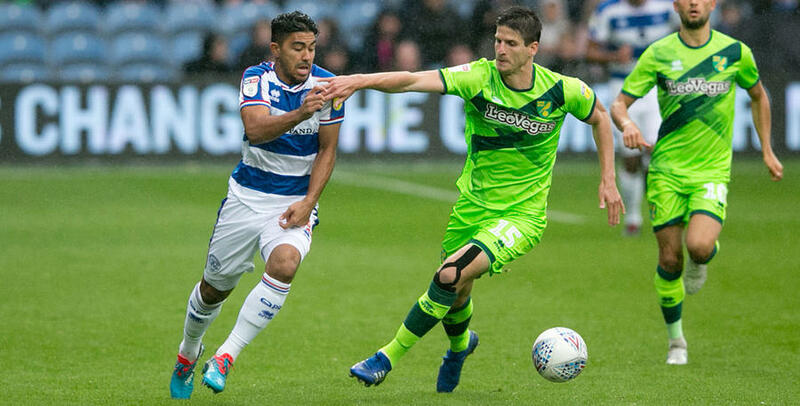 RANGERS’ recent upsurge in form was brought to an end, as Norwich City also kept up their recent good run by recording a third-straight Sky Bet Championship victory at Loftus Road. 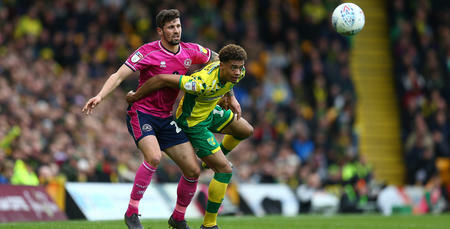 After successive wins over Bolton Wanderers and Millwall, Steve McClaren’s men couldn’t quite find their rhythm in front of the live Sky Sports cameras – and were ultimately undone by Teemu Pukki’s improvised 71st-minute for Daniel Farke’s Canaries, who admittedly dominated for long spells in W12. 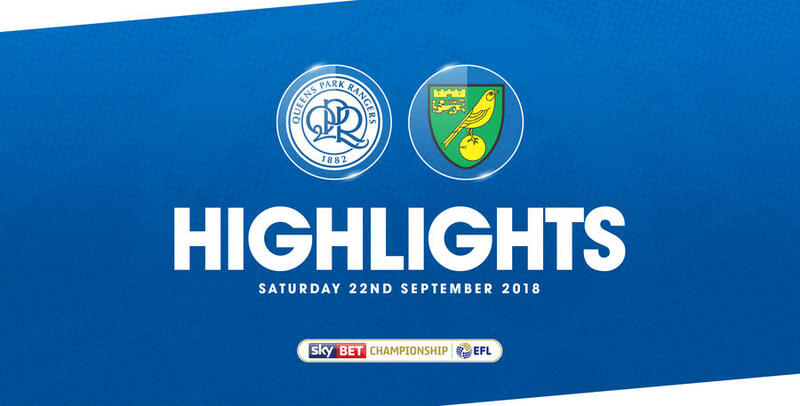 Following Wednesday night’s 2-0 home victory over Millwall, Rangers boss McClaren made three changes to his team for the visit of fellow in-form Championship outfit Norwich – one of those enforced. Angel Rangel missed out through injury, while Geoff Cameron and Jordan Cousins dropped down to the substitutes’ bench. So into the starting XI came Alex Baptiste, Josh Scowen and Tomer Hemed. The R’s lined up in a 4-4-2 formation: Joe Lumley; Baptiste, Toni Leistner (captain), Joel Lynch, Jake Bidwell; Ebere Eze, Massimo Luongo, Josh Scowen, Luke Freeman; Nahki Wells, Hemed. Both sides came into this fixture having won their last two league fixtures. And there was little to choose between them in a tight opening. Norwich fashioned the first attempt in the eighth minute. Marco Stiepermann’s low effort was held well by Lumley in some wet west London weather. Meanwhile, Rangers’ first chance fell to Baptiste in the 13th minute, following a left-flank Freeman free-kick. The former skied over when the ball eventually fell his way on 14 yards. After that, though, the visitors took control of possession as the first half progressed – and so nearly led come the 22nd minute. Jamal Lewis’ inviting low centre from the left-hand edge of the box somehow flashed across the face of goal without a touch – with Canaries top scorer Pukki only inches away from making contact with the ball as he slid across the slick surface. Eight minutes later, Norwich broke at pace, with Stiepermann this time shooting tamely at Lumley when presented with a good opportunity from 10-yards out. In truth, Rangers never really got going in the opening period, though could at least take comfort from the fact that they went in level at half-time. 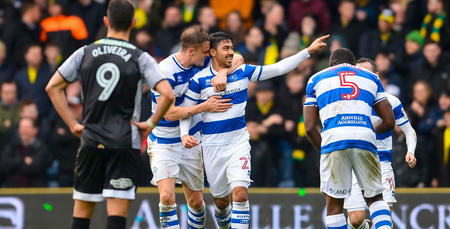 QPR also produced their first shot on target six minutes before the break, as Wells fired straight at Tim Krul from 18 yards. Into the second half, and visitors City spurned another decent chance to lead come the 52nd minute. Pukki’s low centre from the right was met by Todd Cantwell 16-yards out, but he could only blaze over. Rangers’ first real opportunity of the closing period arrived with an hour gone. Freeman’s right-wing cross found Bidwell at the back post, though his deflected effort was easily caught by Krul. The R’s started to come into the game as clock began to tick down. However, Norwich were still on top in terms of possession – and duly edged in front 19 minutes from time. Stiepermann’s deflected ball in from the left darted into the path of Pukki, who reacted impressively to guide the ball home with his chest from 10 yards. With Rangers now a goal behind, Luongo soon wasted a good chance to test Krul in the 73rd minute – thundering over in space on 16 yards after being teed up by Eze. McClaren then opted for a double home change, with Baptiste and Scowen both making way for Cousins and Bright Osayi-Samuel respectively in the 77th minute. Two minutes later, QPR went their closest yet. Freeman’s thumping 20-yard effort forced a fine fingertips stop from Krul. As Rangers began to knock on the visiting door, Eze pulled an 82nd-minute effort wide of the right-hand post from the edge of the box, before Matt Smith was introduced at the expense of skipper Leistner. What followed was an end-to-end finale, as well as four additional minutes, with the hosts throwing everything forward in search of a levelling goal. In the first minute of time added on, sub Osayi-Samuel curled handsomely over from 16 yards. Then at the other end, substitute Jordan Rhodes’ fierce effort from inside the penalty area was beaten away by the palms of Lumley. But there was to be no further goalscoring action – Rangers ultimately edged out to end what had been an unbeaten run of five fixtures in all competitions. 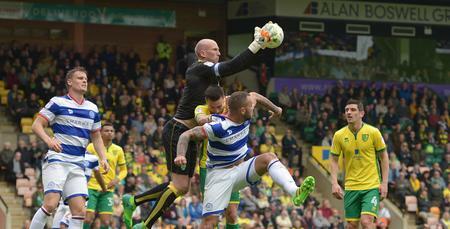 WATCH highlights from QPR’s 1-0 loss against Norwich City at Loftus Road on Saturday afternoon.